This is a biggie. 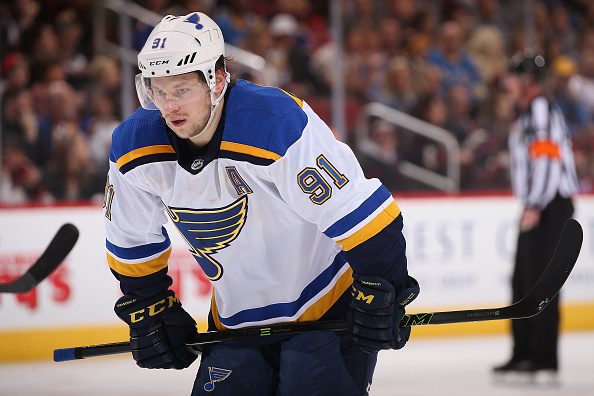 Reports suggest there is growing friction between elite scoring winger Vladimir Tarasenko and the St. Louis Blues organization - and though no specific teams have been linked to 'Tank' in trade talks, the rumblings are starting to grow louder. Back when Ken Hitchcock coached the Blues, he bristled with Tarasenko to the point that many wondered if Tarasenko would eventually ask out of St. Louis. Hitchcock was fired in 2017, and Tarasenko remained. In hindsight, perhaps it wasn't just Hitchcock's coaching that was causing tension? Jakob Silfverberg is no stranger to the NHL rumour mill, and as a pending UFA on a struggling team, that's likely about to get turned up a notch. The latest rumour links Silfverberg to the Penguins in trade talks. Brandon Montour is another name that was exchanged - but it doesn't sound like Anaheim has any interest in parting with the young blueliner. We knew Pittsburgh and Anaheim had been talking for weeks - if not months. Now we have a few names. Pending UFA goalie Jimmy Howard would have been a top trade candidate at this year's deadline, but it sounds like things are leaning towards him extending his stay in Detroit. Our Trade Rumour Board is getting revamped and is returning soon. Stay tuned for an announcement. With little over 90 days until the NHL trade deadline, it's time to ramp things up again.